Are you looking to give somebody a gift voucher for an amazing experience? Christmas is only a month away so it’s definitely time to start that Xmas shopping! If you’re searching the crowded shops for presents but can’t find anything special, you might want to consider one of our awesome gift vouchers. 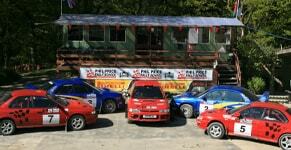 We welcome drivers from all over the UK to our rally school in Llangunllo in the heart of Wales. Here you will find one of the best venues for driving in the country. 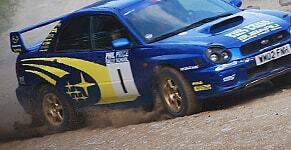 Boasting over 3 miles of genuine rally stages, our venue is frequently used for pre-event testing. Our One Day Intense Course is the perfect way to kick-off 2019 on a positive note and will help somebody forget those January blues. It’s guaranteed to thrill motorists of all ages, backgrounds and abilities, and is also great fun for spectators. Gift vouchers for our One Day Intense Course are easily ordered online and ideal for slipping in a Christmas stocking. Your loved-one will get an adrenaline kick as they experience the kind of driving which you normally only see in action movies. With our expert team who have over 25 years of experience, they’re guaranteed to be in safe hands. For more information, simply discover more about our Driving Day Gifts.